2Simple has been making powerful and creative educational software for primary schools for 15 years and won over 40 industry awards. Our head office is in the UK but 2Simple software is used in classrooms around the world. Popular programs include Purple Mash, an ever growing website filled with creative tools, games and curriculum resources to support and inspire children at school and at home. 2Build a Profile is an app that provides an effortless way to gather observations and supports formative assessment. Serial Mash is our collection of e-literacy resources, including e-books. Through open, usable, cloud-based technologies, Canvas enables easy integration of the content, tools, and services that teachers need and pupils want. As the most usable, customisable, adaptable, and reliable virtual learning environment (think 99.9% uptime), Canvas is adopted faster and deeper (or, is used in more ways by more users) than any other VLE. So, in the end, investing in 21st century education technology actually makes teaching and learning easier (like it’s supposed to). 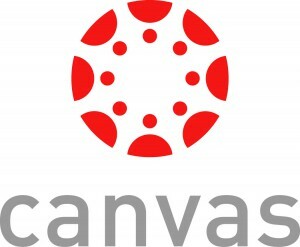 Learn more about Canvas at www.CanvasVLE.co.uk. Discovery Education empowers teachers and captivates students by providing high-quality, dynamic, digital content and professional development to primary and secondary schools across the United Kingdom. The Discovery Education Community connects teachers across the UK and around the world through online and face-to-face events. Discovery Education is a division of Discovery Communications, the number one non-fiction media company in the world. Trusted and used in over 15,500 schools, EducationCity is the leading teaching, learning and assessment resource. Ideal for children aged 3-12 years and children with SEN of all ages, EducationCity’s engaging and interactive activities cover English, Mathematics, Science, Computing, French, Spanish and English as an additional language. EducationCity’s time-saving teaching resources and educational content are mapped to UK and worldwide curricula, and can be used anytime, anywhere on various devices including whiteboards and mobile devices via Puffin Academy. EES for Schools provides a range of world-class school support services which enable positive student outcomes. Owned by Essex County Council, EES works with 4,500 schools across 20 countries, delivering highly-successful and innovative services such as Target Tracker (the market-leading pupil assessment solution used by over 25% of English primary schools), training & consultancy services, finance, HR, clerking & governor services, school library services and School Effectiveness+ (SE+). SE+ was developed with leading academics and outstanding headteachers, and allows schools to evaluate themselves, identify their strengths and weaknesses, benchmark against other schools, and have a clear view of their improvement priorities. Futurform ICT provides quality ICT services and support to schools. We only work within education and place paramount importance on delivering ICT solutions that will enhance teaching and learning. We are a leading provider of VIVIDtouch interactive screens. VIVIDtouch are an innovative solution to the replacement of the traditional projector and whiteboard technology, which are in desperate need of a refresh. Our specialist leasing team can ensure your school can obtain the equipment you need today within straining capital budgets. The ToolSuite brings together world class tools to engage, motivate and inspire pupils to meet and exceed many elements of the National Curriculum. Curriculum focused tools and an APP that enables pupils and teachers to Create, Share and Learn. Including J2e5, Award winning digital paper, that can be shared, published and blogged.The BETT2015 Award winner, J2Code that contextualises coding using 3 coding platforms and with J2Review to evidence progression and give live feedback. The ToolSuite has proven to engage pupils, creating significant impact in raising standards in a variety of curriculum areas. MyCognition is a science-based company dedicated to understanding and improving cognitive health. By taking a visionary, research-based and customer-focused approach, we aim to be a worldwide pioneer and respected scientific leader in optimising cognitive potential. We offer an online cognitive assessment & training programme. There are 3 versions, targeted towards consumers, the educational sector and the business sector. The programme begins with a self-administered, 15-minute, online assessment. This is followed by a fun, online video game, which works to improve five domains of cognitive function (essentially, our ability to think, learn and remember). Our game adapts to each user’s assessment score to deliver a personalized and tailored experience designed to help the learner improve their cognitive skills. Title: The use of adaptive technology to impact on student attainment. Summary: Education is moving towards meeting the needs of the individual student. However, it can be difficult to assess what those needs are and how best to meet them. The use of online assessments can inform us about students’ abilities to learn. Integrating them with adaptive technology based training, can provide personalised learning experiences, which has been shown to improve student attainment. A case study is discussed. Primo Toys is the leading purveyor of hands on, screen-less, smart toys that introduce computer programming skills in early years learning. We’re here to build a new standard in early learning and coding. We make smart, screen-less toys that introduce children to programming, powered by a unique programming language you can touch. These toys are specifically designed for children in pre-literate years and provide fun learning for curious minds with big imaginations. Our first product, Cubetto, is a playful wooden robot that helps children ages 3 and up learn the basics of programming without a screen. Cubetto became the most crowdfunded edtech invention in history when our Kickstarter campaign raised $1.6m with the help from over 6000 backers from 90+ countries worldwide. Primo Toys and Cubetto are on a mission to create a new standard in early learning and programming around the world. Strictly Education is the UK’s leading provider of Academy transition expertise and support service delivery, supporting over 1000 Schools across 100+ Local Authorities. Our Technology division offers curriculum focussed Education Consultancy and training alongside Technical support, SIMS support and Procurement teams. We can advise and support your School or Academy with detailed planning, training and practical workshops, both for Primary Computing and for Technology across the curriculum to inspire and engage.